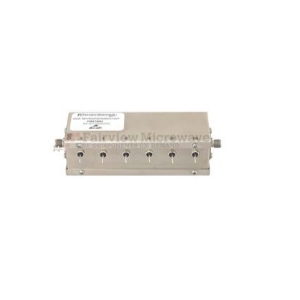 The FMAT8001 from Fairview Microwave is a RF Variable Attenuator with Frequency DC to 1 GHz, Attenuation Range 0 to 31.5 dB, Attenuation Accuracy ±0.2 dB, Power 1 W, Insertion Loss 1.5 dB. Tags: Module with Connectors, Programmable, Digital, Toggle. More details for FMAT8001 can be seen below.